J. Andrew Zhang is an associate professor at the School of Computing and Communications, University of Technology Sydney, Sydney, Australia. Prof. Zhang is passionate about research innovation, and is a world renowned researcher in wireless communications and sensing. He has a wide research interest in signal processing for wireless communications and sensing, autonomous vehicular networks and smart grid. Prof. Zhang has published more than 120 papers in leading international journals and conference proceedings and hold 5 patents. He has won 4 best paper awards for his work, including the best paper award in ICC 2013, the prestigious IEEE Communication Society flagship conference. He is a recipient of CSIRO top award, CSIRO Chairman’s Medal, as a seminal contributor and the Australian Engineering Innovation Award in 2012 for exceptional research achievements in multi-gigabit wireless communications. 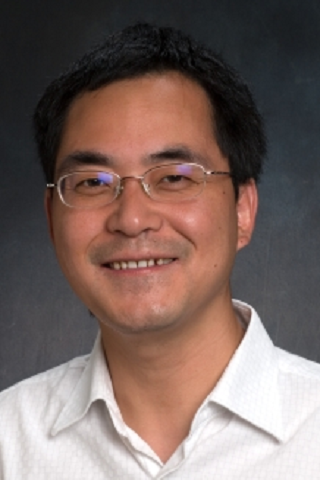 Prof. Zhang has more than 15 years of working experience in industrial research organizations, and has led and participated in numerous projects developing innovative techniques and concept-proof prototypes and commercial devices. Before joining UTS in 2016, Prof. Zhang was a senior research scientist and team leader in Data61, CSIRO. He led the development of the world first 10Gbps E-band system, with a system demonstration successfully completed in Dec 2015. Other highlights of achievements include the successful completion of a 10Gbps baseband system using interleaved DAC techniques, and the development of advanced techniques for millimetre wave hybrid array, full duplex backhaul, massive MIMO, and cloud radio access networks. Prof. Zhang also worked as a researcher in NICTA, Australia from 2004 to 2010, and as a System and Hardware Engineer in ZTE Corp., China from 1999 to 2001. Prof. Zhang received the B. S. degree from Xi’an JiaoTong University, China, in 1996, the M. Sc. degree from Nanjing University of Posts and Telecommunications, China, in 1999, and the Ph.D. degree from the Australian National University, in 2004. Wireless signals and mobile devices are almost everywhere today. Enormous information associated with human behaviour, moving objects and environmental change is embedded in these wireless signals. We are developing advanced information harvesting techniques that can extract information from, e.g., mobile, WiFi and even TV broadcasting signals, without affecting the communications functions. We are also designing advanced signals and protocols which allow communications and sensing to be better implemented jointly and to benefit from each other. This research also involves cross-disciplinary technologies such as SLAM (control technology) and machine learning (data analytics). At the moment, our particular focuses are on Perceptive Mobile/Cellular Networks and Perceptive mmWave systems (for vehicular networks) based on joint communication and radio sensing techniques. Radio sensing is an emerging technology that demonstrates competitiveness in many applications, compared to traditional sensors such as cameras. For example, Google is developing a millimetre wave radar chip (the Soli project) that will soon be available in many smart phone and computers for detecting gesture inputs and for object recognition. Behind-the-wall imaging using WiFi signals have been successfully demonstrated in the lab. Research on human recognition and behaviour detection using WiFi signals have also been reported. Radio imaging and sensing, combined with machine learning techniques, has strong potentials to complement traditional camera based sensing systems. They also share many commonalities because both are electromagnetic waveforms, although they have very different wavelength. We are develop advanced radio sensing and pattern analysis techniques by combining wireless signal processing and machine learning techniques. One of our focused research problems at the moment is Fall detection using WiFi signals. MmWave massive hybrid antenna array is an attractive solution that balances the system performance, complexity and cost for 5G cellular communications. A typical hybrid array consists of multiple analog subarrays. Thanks to the sparsity of mmWave propagation channels, a hybrid array can achieve both high array (spatial diversity) gain and large spatial multiplexing gain. The special architecture of a hybrid array provides great flexibility for beamforming design, and demands new hybrid precoding/combining algorithms. In this research, we are developing key enabling techniques for practical mmWave 5G communications, with focus on channel estimation, analog (RF) and digital precoding and combining algorithms with balanced complexity and performance. We are also deveoping radio sensing techniques based on this platform. In autonomous vehicular networks, technologies are in demand for inter-connecting vehicles and providing them with intelligence and automation. We are developing reliable communication, sensing, collision avoidance and tracking technologies specifically for self-driving cars and unmanned aerial vehicles (UAV). For communications, we are developing long range communication systems and technologies for UAVs, integrating both control and communication channels in one device. We are also investigating instant and resilient UAV mesh networks. Adaptive and steerable beamforming is the enabling technology for both systems, and is our focus. Collision avoidance and tracking are important for both self-driving cars and UAVs. We have developed a scheme for joint communications, collision avoidance and tracking, by integrating radio and video camera. Now we are working on elaborated technologies. © 2019, Institute of Control, Robotics and Systems and The Korean Institute of Electrical Engineers and Springer-Verlag GmbH Germany, part of Springer Nature. Asynchronous switching differing from asynchronous consensus may hinder the system to reach a consensus. This receives very limited attention, especially when the multi-agent systems have a controller fault. In order to analyze the consensus in this situation, this paper studies the consensus of the second-order multi-agent systems under asynchronous switching with a controller fault. We convert the consensus problems under asynchronous switching into stability problems and obtain important results for consensus with the aid of linear matrix inequalities. An example is given to illustrate the effect of asynchronous switching on the consensus, and to validate the analytical results in this paper. IEEE Beamforming has great potential for joint communication and sensing (JCAS), which is becoming a demanding feature on many emerging platforms such as unmanned aerial vehicles and smart cars. Although beamforming has been extensively studied for communication and radar sensing respectively, its application in the joint system is not straightforward due to different beamforming requirements by communication and sensing. In this paper, we propose a novel multibeam framework using steerable analog antenna arrays, which allows seamless integration of communication and sensing. Different to conventional JCAS schemes that support JCAS using a single beam, our framework is based on the key innovation of multibeam technology: providing fixed subbeam for communication and packet-varying scanning subbeam for sensing, simultaneously from a single transmitting array. We provide a system architecture and protocols for the proposed framework, complying well with modern packet communication systems with multicarrier modulation. We also propose low-complexity and effective multibeam design and generation methods, which offer great flexibility in meeting different communication and sensing requirements. We further develop sensing parameter estimation algorithms using conventional digital Fourier transform and 1D compressive sensing techniques, matching well with the multibeam framework. Simulation results are provided and validate the effectiveness of our proposed framework, beamforming design methods and the sensing algorithms. © 2002-2012 IEEE. In this paper, we propose a new caching scheme for a random wireless device-to-device (D2D) network of n nodes with local caches, where each node intends to download files from a prefixed library via D2D links. Our proposed caching delivery includes two stages, employing distributed MIMO and hierarchical cooperations, respectively. The distributed MIMO is applied to the first stage between source nodes and neighbors of the destination node. The induced multiplexing gain and diversity gain increase the number of simultaneous transmissions, improving the throughput of the network. The hierarchical cooperations are applied to the second stage to facilitate the transmissions between the destination node and its neighbors. The two stages together exploit spatial degrees of freedom as well as spatial reuse. We develop an uncoded random caching placement strategy to serve this cooperative caching delivery. Analytical results show that the average aggregate throughput of the network scales almost linearly with n, with a vanishing outage probability. Furthermore, we derive an explicit expression of the optimal throughput as a function of system parameters, such as pathloss factor under a target outage probability. Analytical and numerical results demonstrate that our proposed scheme outperforms existing ones when the local cache size is limited. © 1972-2012 IEEE. Generalized spatial modulation (GSM) activates Nt (1 nt < Nt) available transmit antennas, and information is conveyed through nt modulated symbols as well as the index of the nt activated antennas. GSM strikes an attractive tradeoff between spectrum efficiency and energy efficiency. Linear precoding that exploits channel state information at the transmitter enhances the system error performance. For GSM with nt=1 (the traditional SM), the existing precoding methods suffer from high computational complexity. On the other hand, GSM precoding for nt 2 is not thoroughly investigated in the open literature. In this paper, we develop a unified precoding design for GSM systems, which universally works for all nt values. Based on the maximum minimum Euclidean distance criterion, we find that the precoding design can be formulated as a large-scale nonconvex quadratically constrained quadratic program problem. Then, we transform this challenging problem into a sequence of unconstrained subproblems by leveraging augmented Lagrangian and dual ascent techniques. These subproblems can be solved in an iterative manner efficiently. Numerical results show that the proposed method can substantially improve the system error performance relative to the GSM without precoding and features extremely fast convergence rate with a very low computational complexity. © 2018 Elsevier Inc. This paper aims at solving the sparse reconstruction (SR) problem via a multiobjective evolutionary algorithm. Existing multiobjective evolutionary algorithms for the SR problem have high computational complexity, especially in high-dimensional reconstruction scenarios. Furthermore, these algorithms focus on estimating the whole Pareto front rather than the knee region, thus leading to limited diversity of solutions in knee region and waste of computational effort. To tackle these issues, this paper proposes an adaptive decomposition-based evolutionary approach (ADEA) for the SR problem. Firstly, we employ the decomposition-based evolutionary paradigm to guarantee a high computational efficiency and diversity of solutions in the whole objective space. Then, we propose a two-stage iterative soft-thresholding (IST)-based local search operator to improve the convergence. Finally, we develop an adaptive decomposition-based environmental selection strategy, by which the decomposition in the knee region can be adjusted dynamically. This strategy enables to focus the selection effort on the knee region and achieves low computational complexity. Experimental results on simulated signals, benchmark signals and images demonstrate the superiority of ADEA in terms of reconstruction accuracy and computational efficiency, compared to five state-of-the-art algorithms. Copyright © 2018 Yuyue Luo et al. This paper proposes an adaptive array beamforming method by embedding antennas' active pattern in the worst-case performance optimization algorithm. This method can significantly reduce the beamformer's performance degradation caused by inconsistency between hypothesized ideal array models and practical ones. Simulation and measured results consistently demonstrate the robustness and effectiveness of the proposed method in dealing with array manifold mismatches. © 1967-2012 IEEE. We propose a novel linear physical-layer network coding (NC) scheme for a fading Y-channel without channel state information at transmitters. In this three-user scheme, each user intends to realize a full data exchange with the other two users via a relay. Instead of directly decoding the users' messages from the received signal, the relay determines NC generator matrices and reconstructs linear NC codewords from its received signals to facilitate the information exchange. We present an explicit solution for NC generator matrices that minimize the NC error probability at high SNRs. We also present and prove an approximation of the NC error probability of the proposed scheme at high SNRs. Numerical results show that the proposed scheme outperforms existing ones, and its performance can be well characterized by the approximation. Sparse Bayesian learning (SBL) has high computational complexity associated with matrix inversion in each iteration. In this paper, we investigate complexity reduced multiple-measurement vector (MMV) based implementation for single-measurement vector SBL problems. For problems with special structured sensing matrices, we propose two sub-optimal SBL schemes with significantly reduced complexity and slight estimation performance degradation, by exploiting the deterministic correlation in the converted MMV model explicitly. Two application scenarios on channel estimation in multicarrier systems and direction of arrival estimation are presented. Simulation results validate the effectiveness of the schemes. Frequency-dependent I/Q imbalance estimation and compensation are of significant practical importance to low cost wideband systems with I/Q modulation architecture. To enable multichannel transmission without inter-channel interference, transmitter I/Q imbalance must be pre-compensated to meet stringent transmit mask requirement. In this paper, a simple frequency domain joint transmitter and receiver I/Q imbalance estimation method is proposed for self-calibration of such wideband multichannel transceivers. Using two frequency domain training signals and a phase shifter inserted in the transceiver local loopback channel, the transmitter and receiver I/Q imbalances can be estimated separately. The estimation errors are also analyzed and the mean square error lower bounds are derived. Simulation results are in good agreement with analytical ones. Compared with existing methods, the proposed technique demonstrate better image rejection performance and quicker adaptation to parameter changes, making it more applicable to many wireless systems, especially the multichannel microwave backhaul, for achieving high data rates with high order modulation and wide transmission bandwidth. Multipath dispersion is a serious challenge in visible light communication (VLC) systems as these systems are used for indoor applications where there can be many reflections of the transmitted signal from the ceiling, walls, equipment, etc. These reflected signals cause intersymbol interference in the receiver and can degrade the performance of the system considerably. Orthogonal frequency-division multiplexing (OFDM) for optical wireless communications was introduced to mitigate multipath dispersion and has been well investigated in the literature. Recently, single-carrier systems with frequency-domain equalization (SCFDE) have been proposed as alternatives to OFDM. In this paper, we present pulse amplitude modulated SCFDE (PAM-SCFDE) to mitigate multipath dispersion in VLC systems. We also compare the proposed PAM-SCFDE with existing OFDM and SCFDE techniques for optical wireless communications in terms of analytical and simulated bit-error-rate (BER) performance, power-spectral efficiency, peak-to-average power ratio (PAPR), and overall system complexity. The proposed PAM-SCFDE requires lower per bit signal-to-noise ratio to achieve a BER of 10-4 or smaller for modulation sizes common in practice, both with and without considering the effects of light-emitting diode transmitters, such as nonlinearity, forward current restriction, and bandwidth limitation. Furthermore, it exhibits better power efficiency for data rates less than 3 bit/s/Hz, lower PAPR and system complexity compared to other systems. A massive hybrid array consists of multiple analog subarrays, with each subarray having its digital processing chain. It offers the potential advantage of balancing cost and performance for massive arrays and therefore serves as an attractive solution for future millimeter-wave (mm- Wave) cellular communications. On one hand, using beamforming analog subarrays such as phased arrays, the hybrid configuration can effectively collect or distribute signal energy in sparse mm-Wave channels. On the other hand, multiple digital chains in the configuration provide multiplexing capability and more beamforming flexibility to the system. In this article, we discuss several important issues and the state-of-the-art development for mm-Wave hybrid arrays, such as channel modeling, capacity characterization, applications of various smart antenna techniques for single-user and multiuser communications, and practical hardware design. We investigate how the hybrid array architecture and special mm-Wave channel property can be exploited to design suboptimal but practical massive antenna array schemes. We also compare two main types of hybrid arrays, interleaved and localized arrays, and recommend that the localized array is a better option in terms of overall performance and hardware feasibility. A distributed multiple-input-multiple-output (MIMO) system consists of M users served by L distributed base stations (BSs), where the BSs are connected to a central unit (CU) via L independent backhaul (BH) links. In this paper, we consider the design of an uplink distributed MIMO system where 1) the channel state information is not available at the transmitters and 2) the BH links are rate constrained. We propose a new linear network coding (LNC)-based protocol: the M users transmit simultaneously. Each BS generates N linear functions of the M users' messages, based on a preassigned LNC coefficient matrix. The CU collects N · L linear functions from the L BSs and recovers all M users' messages by solving these linear functions. The decoding becomes successful if the linear functions has full rank M and fails if the linear functions are rank deficient. We derive the preassigned LNC coefficient matrix that minimizes the probability of rank deficiency. We then analyze the outage probability (OP) of the proposed scheme over a Rayleigh fading channel. We analytically show that as long as the BH rate is greater than the individual data rate of one user, the OP of the proposed scheme decays like 1/SNRL at high SNR. This is in contrast to the existing scheme whose OP decays like 1/SNR. As the BH rate constraint approaches M times the data rate of one user, the performance of the proposed scheme is 10/L log10(L!) dB away from that of the full MIMO scenario at high SNR. We also develop a structured way to efficiently construct the preassigned LNC coefficient matrix that yields the optimized OP performance. Numerical results show that the proposed scheme has significantly improved performance over existing schemes. In this paper, we propose a new linear vector physical-layer network coding (NC) scheme for spatial multiplexing multiple-input multiple-output (MIMO) two-way relay channel (TWRC) where the channel state information (CSI) is not available at the transmitters. In this scheme, each user transmits M independent quadrature amplitude modulation signal streams respectively from its M antennas to the relay. Based on the receiver-side CSI, the relay determines a NC generator matrix for linear vector network coding, and reconstructs the associated M linear combinations of all messages. We present an explicit solution for the generator matrix that minimizes the error probability at a high SNR, as well as an efficient algorithm to find the optimized solution. We propose a novel typical error event analysis that exploits a new characterization of the deep fade events for the TWRC. We derive a new closed-form expression for the average error probability of the proposed scheme over a Rayleigh fading MIMO TWRC. Our analysis shows that the proposed scheme achieves the optimal error rate performance at a high SNR. Numerical results show that the proposed scheme significantly outperforms existing schemes, and match well with our analytical results. © 1979-2012 IEEE. OFDM has been regarded as a promising candidate for use in cognitive radio systems with dynamic spectrum reuse capability. However, conventional OFDM has significant OOBE, which can cause severe interference to systems operating in adjacent frequency bands. In addition to conventional techniques such as spectral shaping filtering, guard band insertion, and time domain windowing, new OOBE reduction techniques, including cancellation carrier and spectral precoding, have been proposed in recent years. This article reviews various OOBE reduction techniques and proposes a generalized lowcomplexity OOBE reduction framework for discrete Fourier transform precoded OFDM. With the allocation of explicit frequency domain cancellation subcarriers and data domain cancellation symbols, the proposed framework enables various configurations to achieve significant OOBE reduction with low implementation complexity, and provides flexibility in balancing OOBE reduction and other performance metrics such as peak-to-average power ratio. This paper proposes an energy management technique for a consumer-to-grid system in smart grid. The benefit to consumers is made the primary concern to encourage consumers to participate voluntarily in energy trading with the central power station (CPS) in situations of energy deficiency. A novel system model motivating energy trading under the goal of social optimality is proposed. A single-leader multiple-follower Stackelberg game is then studied to model the interactions between the CPS and a number of energy consumers (ECs), and to find optimal distributed solutions for the optimization problem based on the system model. The CPS is considered as a leader seeking to minimize its total cost of buying energy from the ECs, and the ECs are the followers who decide on how much energy they will sell to the CPS for maximizing their utilities. It is shown that the game, which can be implemented distributedly, possesses a socially optimal solution, in which the sum of the benefits to all consumers is maximized, as the total cost to the CPS is minimized. Numerical analysis confirms the effectiveness of the game. networks, particularly massive MIMO and multiband base-station antennas. Small cell techniques are recognized as the best way to deliver high capacity for broadband cellular communications. Femtocell and distributed antenna systems (DASs) are important components in the overall small cell story, but are not the complete solution. They have major disadvantages of very limited cooperation capability and expensive deployment cost, respectively. In this article, we propose a novel mobile-over-FTTx (MoF) network architecture, where an FTTx network is enhanced as an integrated rather than a simple backhauling component of a new mobile network delivering low-cost and powerful small cell solutions. In part, the MoF architecture combines the advantages of femtocells and DASs, while overcoming their disadvantages. Implementation challenges and potential solutions are discussed. Simulation results are presented and demonstrate the strong potential of the MoF in boosting the capacity of mobile networks. Zhang, JA 2013, 'Response to" On Mathematical Equivalence Between Vector OFDM and Quadrature OFDMA"', Communications, IEEE Transactions on, vol. 61, pp. 815-815. This letter extends our previous work on layered inverse Fast Fourier Transform (IFFT) structure to a multistage layered IFFT structure where data symbols can input at different stages of the IFFT. We first show that part of the IFFT in the transmitter of an OFDM system can be shifted to the receiver, while a conventional one-tap frequency-domain equalizer is still applicable. We then propose two IFFT split schemes based on decimation-in-time and decimation-in-frequency IFFT algorithms to enable interference-free symbol recovery with simple linear equalizers. Applications of the proposed schemes in multiple access communications are investigated. Simulation results demonstrate the effectiveness of the proposed schemes in improving bit-error-rate performance. Channel matrix inversion, which requires significant hardware resource and computational power, is a very challenging problem in MIMO-OFDM systems. Casting the frequency-domain channel matrix into a polynomial matrix, interpolation-based matrix inversion provides a promising solution to this problem. In this paper, we propose novel algorithms for interpolation based matrix inversion, which require little prior information of the channel matrix and enable the use of simple low-complexity interpolators such as spline and low pass filter interpolators. By invoking the central limit theorem, we show that a Gaussian approximation function well characterizes the power of the polynomial coefficients. Some low-complexity and efficient schemes are then proposed to estimate the parameters of the Gaussian function. With these estimated parameters, we introduce phase shifted interpolation and propose two algorithms which can achieve good interpolation accuracy using general low-complexity interpolators. Simulation results show that up to 85% complexity saving can be achieved with small performance degradation. Distributed transmit beamforming (DTB) can significantly boost the signal-to-noise ratio (SNR) of a wireless communication system. To realize the benefits of DTB, generating and feeding back beamforming vector are very challenging tasks. Existing schemes have either enormous overhead or weak robustness in noisy channels. In this paper, we investigate the design of training sequences and beamforming vector estimators in DTB systems. We consider an under-determined case, where the length of training sequence N sent from each node is smaller than the number of source nodes M. We derive the optimal estimation of the beamforming vector that maximizes the beamforming gain and show that it can be well approximated as the linear minimum mean square error (LMMSE) estimator. Based on the LMMSE estimator, we investigate the optimal design of training sequences and propose efficient DTB schemes. We analytically show that these schemes can achieve approximately N times increased SNR in uncorrelated channels, and even higher gain in correlated ones. We also propose a concatenated training scheme which optimally combines the training signals over multiple frames to obtain the beamforming vector. Simulation results demonstrate that the proposed DTB schemes can yield significant gains even at very low SNRs, with total feedback bits much less than those required in the existing schemes. Luo, L., Zhang, J.A. & Davis, L.M. 2012, 'Space-time block code and spatial multiplexing design for Quadrature-OFDMA systems', Communications, IEEE Transactions on, vol. 60, pp. 3133-3142. To alleviate the high peak-to-average power ratio (PAPR), high complexity in user terminal and sensitivity to carrier frequency offset (CFO) problems in current orthogonal frequency division multiple access (OFDMA) systems, a Quadrature OFDM (Q-OFDMA) system has been recently proposed in the single-input single-output environment. In this paper we study the realization of multi-input multi-output (MIMO) diversity- and multiplexing- oriented methods for Q-OFDMA systems. An Alamouti-like space-time block code (STBC) and simple detection for spatial multiplexing (SM) for Q-OFDMA systems are constructed, both zero forcing (ZF) and minimum mean square error (MMSE) equalizers are investigated. The proposed STBC is a full diversity scheme, which encodes in intermediate domain and decodes in frequency domain. Analytical and empirical results demonstrate that the Q-OFDMA systems can be implemented flexibly and efficiently in a MIMO framework, and the proposed scheme can be easily applied in OFDMA and Single-Carrier Frequency Division Multiple Access (SC-FDMA) by adjusting the parameters of Q-OFDMA. This letter proposes simple algorithms for computing a phase shift term, which is introduced to greatly improve the accuracy of complex signal interpolation, applicable to any interpolator. Based on a cost function targeting at minimizing the phase transition between adjacent samples, the phase shift term can be easily computed using either signal statistics obtained in advance or known base samples in real time. Simulation results, exemplified for channel interpolation in OFDM systems, show that the proposed phase estimators can significantly improve the interpolation performance for various interpolators such as spline, low-pass filter, and linear and cubic polynomial interpolators, compared to the case without phase shifting. The rapid growth of multimedia broadband wireless services has placed huge pressure on the backhaul infrastructure. As cost-effective alternatives to fibre backhauls, high speed microwave backhauls provide a number of significant benefits, especially for bringing broadband services to rural and regional areas. This article addresses the challenges to wireless backhauls and presents a multi-gigabit microwave backhaul system, called Ngara backhaul, which is being developed at the Commonwealth Scientific and Industrial Research Organisation (CSIRO), Australia. The various innovative aspects of the Ngara backhaul system including spectrum aggregation, peak-toaverage power ratio reduction, out-of-band emission cancellation, and sample rate conversion, are reported. Sidelobe suppression, or out-of-band emission reduction, in multicarrier systems is conventionally achieved via time-domain windowing which is spectrum inefficient. Although some sidelobe cancellation and signal predistortion techniques have been proposed for spectrum shaping, they are generally not well balanced between complexity and suppression performance. In this paper, an efficient and low-complexity sidelobe suppression with orthogonal projection (SSOP) scheme is proposed. The SSOP scheme uses an orthogonal projection matrix for sidelobe suppression, and adopts as few as one reserved subcarrier for recovering the distorted signal in the receiver. Unlike most known approaches, the SSOP scheme requires multiplications as few as the number of subcarriers in the band, and enables straightforward selection of parameters. Analytical and simulation results show that more than 50dB sidelobe suppression can be readily achieved with only a slight degradation in receiver performance. Two novel differential normalization factors, depending on the severity of carrier frequency offset, are proposed for autocorrelation based coarse timing scheme. Compared with the conventional normalization factor based on signal energy, they improve the robustness of the timing metric to signal-to-noise ratio (SNR), improve the mainlobe sharpness of the timing metric and reduce both missed detection and false alarm probabilities. the 402-MHz medical implant communications band. periods, i.e., hours of everyday activity (predominantly indoor scenarios), for on-body channel characterization. evaluation of body area communications systems. Chen, Y, Zhang, J & Jayalath, ADS 2010, 'Estimation and compensation of clipping noise in OFDMA systems', Wireless Communications, IEEE Transactions on, vol. 9, pp. 523-527. Smith, DB, Zhang, JA, Hanlen, LW, Miniutti, D, Rodda, D & Gilbert, B 2009, 'Temporal correlation of dynamic on-body area radio channel', Electronics letters, vol. 45, pp. 1212-1213. Ying, C, Zhang, JA & ADS, J 2009, 'Low-complexity estimation of CFO and frequency independent I/Q mismatch for OFDM systems', EURASIP Journal on Wireless Communications and Networking, vol. 2009. Husain, SI, Yuan, J, Zhang, J & Martin, RK 2009, 'Time domain equalizer design using bit error rate minimization for UWB systems', EURASIP Journal on Wireless Communications and Networking, vol. 2009, pp. 9-9. Luo, L, Zhang, J & Shi, Z 2009, 'Advanced receiver design for quadrature OFDMA systems', EURASIP Journal on Wireless Communications and Networking, vol. 2009, pp. 10-10. Zhang, J, Smith, DB, Hanlen, LW, Miniutti, D, Rodda, D & Gilbert, B 2009, 'Stability of narrowband dynamic body area channel', Antennas and Wireless Propagation Letters, IEEE, vol. 8, pp. 53-56. Zhang, J, Luo, L & Shi, Z 2009, 'Quadrature OFDMA systems based on layered FFT structure', Communications, IEEE Transactions on, vol. 57, pp. 850-860. Zhang, J, Kennedy, RA & Abhayapala, TD 2008, 'Reduced-rank shift-invariant technique and its application for synchronization and channel identification in UWB systems', EURASIP Journal on Wireless Communications and Networking, vol. 2008, pp. 38-38. Chen, Y, Zhang, JA & Jayalath, D 2008, 'Clipping noise compensation for OFDM systems', Electronics Letters, vol. 44, pp. 1490-1491. Zhang, W, Abhayapala, TD & Zhang, J 2008, 'Frequency Dependency in UWB Channel Modelling', Scientific Commons. Zhang, J, Kennedy, RA & Abhayapala, TD 2005, 'Cramér-Rao lower bounds for the synchronization of UWB signals', EURASIP Journal on Applied Signal Processing, vol. 2005, pp. 426-438. Zhang, JA & others 2008, 'Ultra wideband systems—A research overview', pp. 171-194. © Springer Nature Switzerland AG 2019. Multiobjective sparse reconstruction (MOSR) methods can potentially obtain superior reconstruction performance. However, they suffer from high computational cost, especially in high-dimensional reconstruction. Furthermore, they are generally implemented independently without reusing prior knowledge from past experiences, leading to unnecessary computational consumption due to the re-exploration of similar search spaces. To address these problems, we propose a sparse-constraint knowledge transfer operator to accelerate the convergence of MOSR solvers by reusing the knowledge from past problem-solving experiences. Firstly, we introduce the deep nonlinear feature coding method to extract the feature mapping between the search of the current problem and a previously solved MOSR problem. Through this mapping, we learn a set of knowledge-induced solutions which contain the search experience of the past problem. Thereafter, we develop and apply a sparse-constraint strategy to refine these learned solutions to guarantee their sparse characteristics. Finally, we inject the refined solutions into the iteration of the current problem to facilitate the convergence. To validate the efficiency of the proposed operator, comprehensive studies on extensive simulated signal reconstruction are conducted. © 2017 IEEE. In this paper, we investigate linear precoding for spatial modulation (SM) over multiple-input-multiple-output (MIMO) fading channels. With channel state information available at the transmitter, our focus is to maximize the minimum Euclidean distance among all candidates of SM symbols. We prove that the precoder design is a large-scale non-convex quadratically constrained quadratic program (QCQP) problem. However, the conventional methods, such as semi-definite relaxation and iterative concave-convex process, cannot tackle this challenging problem effectively or efficiently. To address this issue, we leverage augmented Lagrangian and dual ascent techniques, and transform the original large-scale non-convex QCQP problem into a sequence of subproblems. These subproblems can be solved in an iterative manner efficiently. Numerical results show that the proposed method can significantly improve the system error performance relative to the SM without precoding, and features extremely fast convergence rate with very low computational complexity. © 2016 IEEE. In this paper, we propose a new linear physical-layer network coding (NC) scheme for the fading Y-channel, assuming that the channel state information (CSI) is not available at transmitters. In this scheme, each user transmits one message to a relay and intends to obtain both other two users' messages. Based on the receiver-side CSI, the relay determines two NC generator vectors for linear network coding, and reconstructs the associated two linear NC codewords. For the case when there is one time-slot in the uplink phase, we present an explicit solution for the generator vectors that minimizes the error probability at a high SNR, and a lower bound of the error performance of the proposed scheme using our optimized generator vectors. Extending to multiple time-slots in the uplink, two typical scenarios are discussed. Numerical results show that the proposed scheme significantly outperforms existing schemes, and match well with our analytical results. In this paper, we develop a framework for an innovative perceptive mobile (i.e. cellular) network that integrates sensing with communication, and supports new applications widely in transportation, surveillance and environmental sensing. Three types of sensing methods implemented in the base-stations are proposed, using either uplink or downlink multiuser communication signals. The required changes to system hardware and major technical challenges are briefly discussed. We also demonstrate the feasibility of estimating sensing parameters via developing a compressive sensing based scheme and providing simulation results to validate its effectiveness. Beam-steering has great potentials for joint communications and sensing, which is becoming a demanding feature on many emerging platforms such as unmanned aerial vehicles and smart cars. Although beam-steering has been extensively studied for communications and radar sensing respectively, its application in the joint system is not straightforward due to different beamforming requirements by communications and sensing. In this paper, we propose a low-cost system framework which allows seamless operation of communications and sensing, using two small- size steerable analog antenna arrays. We provide system architecture, high-level protocols, detailed signal model, novel beamforming design and advanced 1D compressive sensing algorithms for joint communications and sensing. We also provide preliminary simulation results which validate the effectiveness of the proposed technique in resolving closely located objects. We propose signal stripping based approaches for estimating detailed channel composition parameters for sensing in the recently proposed perceptive mobile networks where simultaneous communication and radar sensing is performed. Via reconstructing a (differentiated) channel matrix, we obtain a signal model which can be solved by conventional compressive sensing (CS) techniques. Parameter estimation methods based on a 1-D CS algorithm are proposed and their effectiveness is validated by provided simulation results. Beamforming design for millimeter-Wave hybrid array with the subarray structure is very challenging. There is neither known optimal solution that maximizes the sum rate capacity nor near-optimal solution. This paper proposes some low-complexity user-directed analog radio- frequency (RF) beamforming design schemes. The basic idea is to iteratively allocate different subarrays to different users such that users' channel correlation can be efficiently reduced via RF beamforming. Several new but less efficient schemes are also presented to shed light on RF beamforming design, and to serve as comparisons for the user-directed schemes. Simulation results are provided for these proposed schemes, existing ones in the literature and an upper-bound for hybird array with a fully-connected structure. The user-directed schemes demonstrate significantly better sum-rate and BER performance over other schemes, although the gap to the upperbound is still large. © 2015 IEEE. This paper proposes an energy management scheme for a shared facility controller (SFC), which is equipped with solar panels and is connected to other energy entities in a smart grid. The objective is to minimize the operational cost to the SFC by increasing the use of solar energy. In this context, an optimization problem is formulated for the SFC by giving its requirement a priority, whereby the SFC can also sell the solar energy to other entities if there is any surplus. To enable this, the concept of a virtual cost (VC) is introduced, which is an estimate of the cost to the SFC at a future time slot based on currently available information. The VC is further used to leverage the charging and discharging of the SFC's battery. An algorithm, which runs in real-Time, is proposed to manage the optimal charging and discharging of the SFC's storage and to trade energy with different entities in the system to optimize the cost at any given time. Numerical case studies are provided to show the beneficial properties of the proposed scheme. © 2015 IEEE. In this paper, we propose a new linear physical-layer network coding scheme for spatial-multiplexing MIMO two-way relay channels (TWRCs), where the transmitters lack the channel state information (CSI). In the uplink, each user transmits independent signal streams from its multiple antennas, and the two users transmit simultaneously. The relay selects a finite-field coefficient matrix based on its receiver CSI. It then jointly computes the associated linear combinations of all messages. In the downlink, the resultant message-combinations are forwarded to the users, which recover their desired messages. We derive an asymptotic expression for the coefficient matrix used by the relay that minimizes the error probability. We show by numerical results that for Rayleigh fading channel, the proposed linear PNC scheme outperforms existing schemes by up to 4.5 dB and that the proposed scheme approaches an interference-free lower bound at a sufficiently high SNR. In the cooperative multiple-input/multiple-output (MIMO), multiple access point (AP)-user links form a cluster to increase achievable throughput by cooperatively mitigating inter-user interference within the cluster. In this paper, we propose a clustered cooperative MIMO endowing a constraint on the cluster size such that the clustered MIMO can be implemented as a distributed version of downlink multiuser MIMO in existing standards with minimal modifications. New greedy algorithm and coalition formation algorithm are proposed using matching theory for establishing clusters and allocating frequencies. Simulation results shows that the proposed algorithms achieve almost 20% higher throughput than the fixed cell planning scheme, with very low searching complexity. This paper proposes a simple frequency domain joint transmitter and receiver I/Q imbalance estimation method which exploits the phase rotation introduced by carrier frequency offset. Using two frequency domain training sequences inserted in each transmission frame, the transmitter and receiver I/Q imbalances can be jointly estimated over multiple frames. The transmitter I/Q imbalance parameter can be fed back to the transmitter for I/Q imbalance pre-compensation, whereas the receiver I/Q imbalance can be compensated locally followed by conventional frequency domain equalization. Numerical simulation results show that the image rejection ratios for both transmitter and receiver after I/Q imbalance compensation can be improved to over 50 dB which is necessary for multichannel systems with high order modulation and wide transmission bandwidth. Huang, X., Zhang, J.A. & Guo, Y.J. 2014, 'Unified out-of-band emission reduction with linear complexity for OFDM', Communications in China (ICCC), 2014 IEEE/CIC International Conference on, IEEE, pp. 523-527. Sung, C., Zhang, J., Chen, Z. & Collings, I. 2014, 'Distributed Link Clustering for Clustered Cooperative MIMO', VTC, IEEE. This paper proposes a comprehensive solution to reduce peak-to-average power ratio (PAPR), cancel out-of-band emission (OOBE), and alleviate the impact of phase noise for precoded orthogonal frequency-division multiplexing (OFDM) systems. Making use of the cancellation and pilot symbols and subcarriers in both data and frequency domains, this solution integrates a number of novel schemes to overcome OFDM's inherent drawbacks and mitigate practical impairments for high speed wireless communications. These schemes include a layered precoding structure, a low complexity OOBE cancellation using both data domain cancellation symbols and frequency domain cancellation subcarriers, and an effective phase noise compensation using data domain pilot symbols. The improved overall system performance of the proposed solution is verified by simulation results. This paper investigates discrete Fourier Transform (DFT)-precoded OFDM systems (DFT-OFDM) for intensity modulated direct-detection optical communications. Such scheme can be used to support both single and multiple user communications. Two DFT-OFDM systems using real modulation and DC-biasing are proposed. Performance analysis based on signal-to-interference-and-noise ratio (SINR) is provided. Insights are provided for designing choices between different modulations, and between using DC-biasing and asymmetrical clipping approaches. Simulation results show that the proposed schemes largely outperform systems using asymmetrical clipping, particularly in the case of using higher order modulations. High speed and long range wireless backhauls are cost-effective alternatives to fibre networks and becoming more and more attractive as the demand for broadband wireless services grows rapidly in recent years. However, current commercially available wireless backhaul systems neither provide sufficiently high speed nor meet the requirements to achieve both high speed and long range at the same time with sufficiently low latency for targeted applications. Traditional microwave systems can achieve long transmission range, but the data rates are limited to a few hundred Mega bits per second only. Multi-Gigabit wireless communications can be achieved using millimetre-wave (mm-wave) frequency bands, especially the E-bands, but the practical transmission range is still a major weakness. In this paper, the state-of-the-art microwave and mm-wave technologies developed at the Commonwealth Scientific and Industrial Research Organization (CSIRO) are introduced to demonstrate CSIRO's technology leadership in multi-Gigabit wireless communications research and development. The technology trends in multi-Gigabit wireless communications are also discussed and various recently developed microwave and mm-wave systems are compared. It is hoped that this paper will stimulate further research interest and industry development. Generating and feeding back beamforming vector are very challenging tasks in distributed transmit beamforming (DTB) systems. Phases of DTB nodes may vary rapidly due to residual carrier frequency offset and hence frequent updating of beamforming vector is required. Existing iterative training schemes that only require one bit training and one or two bits feedback in each iteration have low convergence speed and are not robust in noisy channels due to the lack of structure in the training sequences. In this paper, we consider a DTB system where the number of training bits N sent from each node is no more than the number of source nodes M, and propose a concatenated training scheme based on optimal design of training sequences in this case. For spatially uncorrelated channels, we show that the concatenated training scheme can optimally combine the N latest training signals and achieve beamforming gain approximately proportional to N/M. An algorithm which can adaptively determine the length of the combination in time-varying channels is also proposed. Simulation results demonstrate the proposed scheme can work efficiently even at very low signal-to-noise ratio, with the total feedback bits much less than those required in the iterative schemes. Single carrier systems with frequency domain equalization (SC-FDE) have been recently proposed for optical wireless systems as alternatives to optical orthogonal frequency division multiplexing (OFDM) to reduce the peak-to-average power ratio (PAPR) of the transmitted signal and improve the system performance. However, these SC-FDE systems have either higher complexity or lower spectrum efficiency. In this paper a low complexity SC-FDE system based on on-off-keying (OOK) modulation is proposed. Theoretical bit-error-rate (BER) analysis is provided based on minimum mean square error (MMSE) equalization for the proposed system and typical optical SC-FDE and OFDM systems. Both analytical and numerical results show that the proposed system significantly outperforms existing SC-FDE and OFDM systems in terms of PAPR, BER and implementation complexity. We recently proposed an efficient 'sidelobe suppression with orthogonal projection" (SSOP) scheme for reduction of out-of-band emission of OFDM signals. The SSOP scheme uses a preceding matrix to generate zeros at prescribed frequencies in the sidelobe region and it is numerically observed that its suppression effect is affected by the sampling rate. In this paper, we analytically characterize this effect by considering analog and digital implementations of the SSOP scheme, which correspond to a zero sampling rate and an IFFT implementation with non-zero sampling rates, respectively. Both implementations are modeled and analytical expressions for the corresponding spectra are developed. It is shown that the analytical results match the simulation results very well and the suppression performance is generally proportional to the sampling rate. The analog SSOP-OFDM has true zeros at prescribed frequencies and thus results in significant reduction of out-of-band emissions. The digital implementation does not result in true zeros in the spectrum but nevertheless results in significant sidelobe reduction if the frequency resolution associated with the IFFT is sufficiently high. Based on the sequential sample rate conversion (SRC) structure using B-spline interpolation for orthogonal frequency division multiplexing (OFDM) based software defined radios, a parallel processing SRC structure is proposed in this paper to achieve high speed data transmission for multiband OFDM systems. By deriving an impulse response matrix from the sequential SRC structure, the state vectors of the SRC structure can be calculated from a block of input samples with less complexity than conventional Farrow structure. Real-time SRC implementation combined with local feedback and stuffing is also presented. Performance in terms of state buffer pointer offset caused by clock variation and finite precision in digital hardware is analyzed to provide guidance for practical system design such as determining clock stability and word-length requirements. This paper explores an idea of demand-supply balance for smart grids in which consumers are expected to play a significant role. The main objective is to motivate the consumer, by maximizing their benefit both as a seller and a buyer, to trade their surplus energy with the grid so as to balance the demand at the peak hour. To that end, a Stackelberg game is proposed to capture the interactions between the grid and consumers, and it is shown analytically that optimal energy trading parameters that maximize customers' utilities are obtained at the solution of the game. A novel distributed algorithm is proposed to reach the optimal solution of the game, and numerical examples are used to assess the properties and effectiveness of the proposed approach. Channel prediction, which predicts a future channel gain based on current and past observations, is very useful for power control and resource optimization in wireless communication systems. However, a low-complexity predictor with trustworthy prediction accuracy is yet to be developed. This paper proposes a linear predictor and two linear Markov predictors, which achieve a good balance between complexity and accuracy. A low-complexity and efficient sidelobe suppression with orthogonal projection (SSOP) scheme is proposed in  for OFDM systems. This paper provides comprehensive performance analysis for the zero-forcing receiver for the SSOP scheme. Via rigorous proof, we show the independence of the orthogonal projection matrix on the ordering of the suppression distances, and the monotonicity of the SNR with the suppression distance and the number of reserved subcarriers. We also characterized the SNR degradation of the single-side and double-side suppression schemes analytically. These analytical results match with the numerical results well. Sidelobe suppression, or out-of-band emission reduction, in OFDM systems can be achieved via time-domain windowing but this may result in significantly reduced spectrum efficiency. Alternatively, sidelobe cancellation and signal predistortion techniques have been proposed for spectrum shaping, but schemes achieving a good balance between complexity and performance are yet to be developed. In this paper, an efficient and low-complexity technique referred to as 'sidelobe suppression with orthogonal projection' (SSOP) scheme is proposed. An analysis of the SNR performance and robustness characteristics of the proposed technique are also presented. Numerical results show that significant sidelobe suppression can be readily achieved with slight receiver performance degradation. Coexistence of multiple wireless body area networks (WBAN) is a very challenging problem because piconets move frequently and each piconet can have hundreds of sensors. The IEEE 802.15.6 task group is developing a standard based on superframe-level frequency-hopping scheme, which is a good solution to the piconet coexistence problem without requiring coordination between piconets. However, its spectrum efficiency is very low when only a single piconet is operating. In this paper we propose a superframe-level time-hopping scheme with variable contention access period. Compared to the frequency-hopping scheme, the proposed scheme has similar interference mitigation capability, but can achieve significant improvement in energy consumption, latency and spectrum efficiency. Yuan, X & Zhang, J 2010, 'Joint beamforming design in multiuser MIMO systems with codebook-based feedback', Communications Theory Workshop (AusCTW), 2010 Australian, IEEE, pp. 128-132. Chen, Y, Zhang, J & Jayalath, ADS 2010, 'Are SC-FDE systems robust to CFO? ', Wireless Communications and Networking Conference (WCNC), 2010 IEEE, IEEE, pp. 1-6. Luo, L, Zhang, J & Davis, LM 2010, 'On performance limits of coded asymmetric OFDM systems over multipath fading channels', Communications Theory Workshop (AusCTW), 2010 Australian, IEEE, pp. 19-23. Zhang, A, Smith, DB, Miniutti, D, Hanlen, LW, Rodda, D & Gilbert, B 2010, 'Performance of piconet co-existence schemes in wireless body area networks', Wireless Communications and Networking Conference (WCNC), 2010 IEEE, IEEE, pp. 1-6. Zhang, A, Hanlen, LW & Huang, X 2010, 'Spreading with Walsh code for /2-DBPSK modulated WBAN systems', Personal, Indoor and Mobile Radio Communications Workshops (PIMRC Workshops), 2010 IEEE 21st International Symposium on, IEEE, pp. 84-88. Hanlen, LW, Smith, D, Zhang, JA & Lewis, D 2009, 'Key-sharing via channel randomness in narrowband body area networks: Is everyday movement sufficient? ', Proceedings of the Fourth International Conference on Body Area Networks, ICST (Institute for Computer Sciences, Social-Informatics and Telecommunications Engineering), pp. 17-17. Smith, D, Zhang, J, Hanlen, L, Miniutti, D, Rodda, D & Gilbert, B 2009, 'A simulator for the dynamic on-body area propagation channel', IEEE Intern. Symp. Antennas and Propagation Society, pp. 1-4. Smith, D, Hanlen, L, Zhang, J, Miniutti, D, Rodda, D & Gilbert, B 2009, 'Characterization of the dynamic narrowband on-body to off-body area channel', Communications, 2009. ICC'09. IEEE International Conference on, IEEE, pp. 1-6. Chen, Y, Zhang, J & Jayalath, D 2009, 'Clipping Noise Compensation for OFDMA Systems', Communications Theory Workshop, 2009. AusCTW 2009. Australian, IEEE, pp. 100-104. Zhang, J & Hanlen, LW 2009, 'Non-coherent receiver with fractional sampling for impulsive UWB systems', IEEE Int. Commun. Conf, pp. 1-5. Luo, L, Zhang, J & Shi, Z 2009, 'MIMO quadrature-OFDMA systems', Personal, Indoor and Mobile Radio Communications, 2009 IEEE 20th International Symposium on, IEEE, pp. 2739-2743. Zhang, J, Hanlen, D, Rodda, D & Gilbert, B 2009, 'Interference in Body Area Networks: Are signal-links and interference-links independent? ', PIMRC 2009, IEEE. Smith, D, Hanlen, L, Zhang, JA, Miniutti, D, Rodda, D & Gilbert, B 2009, 'Characterization of the Dynamic Narrowband On-Body to Off-Body Area Channel', 2009 IEEE INTERNATIONAL CONFERENCE ON COMMUNICATIONS, VOLS 1-8, IEEE International Conference on Communications (ICC 2009), IEEE, Dresden, GERMANY, pp. 4207-+. Smith, D, Hanlen, L, Miniutti, D, Zhang, J, Rodda, D & Gilbert, B 2008, 'Statistical characterization of the dynamic narrowband body area channel', Applied Sciences on Biomedical and Communication Technologies, 2008. ISABEL'08. First International Symposium on, IEEE, pp. 1-5. Chen, Y, Zhang, J & Jayalath, ADS 2008, 'New Training Sequence Structure for Zero-Padded SC-FDE System in Presence of Carrier Frequency Offset', Vehicular Technology Conference, 2008. VTC 2008-Fall. IEEE 68th, IEEE, pp. 1-4. Husain, SI, Yuan, J & Zhang, J 2008, 'Channel shortening through bit error rate minimization for UWB systems', Communications Theory Workshop, 2008. AusCTW 2008. Australian, IEEE, pp. 130-134. Luo, L, Zhang, J & Shi, Z 2008, 'Iterative (turbo) joint channel estimation and signal detection for Quadrature OFDMA systems', Personal, Indoor and Mobile Radio Communications, 2008. PIMRC 2008. IEEE 19th International Symposium on, IEEE, pp. 1-5. Zhang, J 2008, 'Reduced rank equalization for precoded OFDM systems', Personal, Indoor and Mobile Radio Communications, 2008. PIMRC 2008. IEEE 19th International Symposium on, IEEE, pp. 1-4. Luo, L, Zhang, J & Shi, Z 2008, 'BER analysis for asymmetric OFDM systems', Global Telecommunications Conference, 2008. IEEE GLOBECOM 2008. IEEE, IEEE, pp. 1-6. To alleviate the high peak-to-average power ratio (PAPR) and sensitivity to carrier frequency offset (CFO) problems, an asymmetric OFDM (A-OFDM) system has been recently proposed. In this paper, the theoretical bit error rate (BER) analysis of the A-OFDM systems is presented. Various modulation methods, i.e., BPSK and M-ray QAM, and equalization techniques, i.e., zero forcing (ZF) and minimum mean square error (MMSE) criteria are considered. Our analysis shows that the BER performance of the A-OFDM system bridges that of conventional OFDM and single carrier systems. Certain advanced equalizers, such as MMSE equalizer, are found to significantly improve the BER performance of the A-OFDM systems. The analysis approach is generally applicable to most modulation schemes and can be extended to any precoded OFDM systems. © 2008 IEEE. Chen, Y, Zhang, JA & Jayalath, ADS 2008, 'New Training Sequence Structure for Zero-Padded SC-FDE System in Presence of Carrier Frequency Offset', 68TH IEEE VEHICULAR TECHNOLOGY CONFERENCE, FALL 2008, 68th IEEE Vehicular Technology Conference, IEEE, Calgary, CANADA, pp. 1930-1933. Zhang, J, Luo, L & Shi, Z 2007, 'Quadrature OFDMA systems', Global Telecommunications Conference, 2007. GLOBECOM'07. IEEE, IEEE, pp. 3734-3739. Zhang, J & Chen, Y 2007, 'Single Local-Oscillator Solution for Multiband OFDM Systems', Communications, 2007. ICC'07. IEEE International Conference on, IEEE, pp. 4116-4121. Husain, SI, Yuan, J & Zhang, J 2007, 'Impulse response shortening through limited Time reversed channel in MB OFDM UWB systems', Communications and Information Technologies, 2007. ISCIT'07. International Symposium on, IEEE, pp. 1269-1273. Husain, SI, Yuan, J & Zhang, J 2007, 'Effective channel shortening by modified MSSNR algorithm for simplified UWB receiver', Communications, 2007. ICC'07. IEEE International Conference on, IEEE, pp. 2506-2510. Zhang, J, Abhayapala, TD & Kennedy, RA 2005, 'Role of pulses in ultra wideband systems', Ultra-Wideband, 2005. ICU 2005. 2005 IEEE International Conference on, IEEE, pp. 565-570. Zhang, J, Kennedy, RA & Abhayapala, TD 2005, 'Performance and parameter optimization of RAKE reception with interchip interference', Communications, 2005. ICC 2005. 2005 IEEE International Conference on, IEEE, pp. 2830-2834. Zhang, J, Kennedy, RA & Abhayapala, TD 2004, 'Cramer-Rao lower bounds for the time delay estimation of UWB signals', Communications, 2004 IEEE International Conference on, IEEE, pp. 3424-3428. Zhang, J, Abhayapala, TD & Kennedy, RA 2004, 'Principal components tracking algorithms for synchronization and channel identification in UWB systems', Spread Spectrum Techniques and Applications, 2004 IEEE Eighth International Symposium on, IEEE, pp. 369-373. Zhang, J, Kennedy, RA & Abhayapala, TD 2004, 'Rank Reduced ESPRIT Techniques in the Estimation of Principle Signal Components', Proceedings 5th Australian Communications Theory Workshop, Australian National University. Zhang, J 2004, 'Identification of principal components in wideband multipath channels', Proceedings - 2004 Global Mobile Congress, pp. 401-406. In this paper, we proposed novel reduced-rank shift invariant schemes to track and identify principal multipath components in dense wideband wireless channels. Aiming at reducing the complexity of conventional shift invariant techniques, we developed Reduced-rank Identification of Principal Components (RIPC) algorithms, which can track principal components automatically by transforming the generalized eigen-problem in an original high dimensional space to a lower dimensional space depending on the number of desired principal signals. Exemplified with the estimation of multipath signals in a Ultra Wideband system, we show the performance of RIPC algorithms is only slightly inferior to the general full rank algorithms. Zhang, J, Abhayapala, TD & Kennedy, RA 2003, 'Performance of ultra-wideband correlator receiver using Gaussian monocycles', Communications, 2003. ICC'03. IEEE International Conference on, IEEE, pp. 2192-2196. Zhang, J, Kennedy, RA & Abhayapala, TD 2003, 'New results on the capacity of M-ary PPM ultra-wideband systems', Communications, 2003. ICC'03. IEEE International Conference on, IEEE, pp. 2867-2871. Zhang, J, Kennedy, RA & Abhayapala, TD 2002, 'Analytical Description of Signal Characteristics and Interference For Time Hopped UWB System', COMMUNICATIONS THEORY WORKSHOP, Citeseer, pp. 114-114. Lin Luo, JAZ & Shi, Z, 'Performance of Time-Division OFDMA Systems with FDE over Frequency-Selective Fading Channels'. Miniutti, D, Hanlen, L, Smith, D, ZHANG, J, Rodda, D, Gilbert, B & GENGFA, F 2009, NICTA proposal, pp. 15-09. Zhang, J, Huang, X & Guo, YJ 2014, 'Reducing out-of-band emission'.